Manage Your Software Development Without A Project Manager! When resources are limited you might face the challenge of building and developing a new software without having a full-time project manager. In this article, I’m going to show you how to successfully manage your software project without having the skills and resources of a project manager. How should that even work? You might wonder how project management in software development should and could even be set up and work without the skills and resources of a project manager. To be honest with you. I had similar concerns. Concerns which I overcame by the experiences I’ve made over the last few years. Of course, it’s not easy. It requires high involvement, passion and a cultural drive of every team member involved. If you’re working in software development, I guess you’re familiar with the old concept of the waterfall technique and I don’t want to get into too much detail here. We surveyed nearly 1.000 developers and designers and asked them about their collaboration in software development. What we discovered was that Waterfall is still used by many of them. With agile and scrum listed as the top software development methodologies, we can see where the trend of software development is heading. There are a lot of prejudices out there about developers and their project management skills. Technical workers are creative, productive, downright wonderful resources, but they need direction. It might be true to some extent. However, we at Usersnap believe that a technical team of developers and designers is able to coordinate all those resources and tasks. And simply make sure that work is done in the proper sequence with a minimum of time and money wasted. Yes, we truly believe that. As a team of developers and/or designers, we need to define our project requirements in the first place. By making use of the concept of requirements engineering, we’re able to formulate, document and maintain our software requirements. Basically, requirements engineering helps us to define the project scope and enables us to plan and outline the software development project ahead of us. When having no (or few) project management resources in your company for managing your software development team and projects, the agile software development technique will become your preferred way to go. Because agile requires a continuous collaboration between all people involved in a project. Planning, managing and monitoring your project becomes a task which needs to be performed by everybody involved. Getting started with your project requires to install and ensure a communication workflow throughout your entire software development process. Everyone involved must be prepared to send and receive messages and must understand how his/her communication affects the whole project. Who needs what kind of information? How will the information be given to him/her? By whom will the information be given? People will communicate in project the way it’s most comfortable for them. Nevertheless the aspects above need to be answered. In order to deliver a quality software product, we need to consider several factors, both internal and external, which may impact our software development scope. These factors, influencing our project scope, can be found in budget limitations, quality constraints, and deadlines for delivering the product itself. 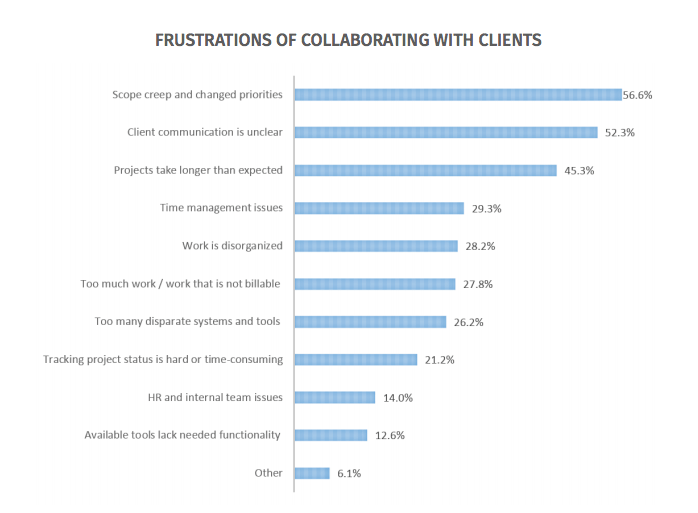 According to this study report, scope creep is the biggest challenge software development companies are faced with. 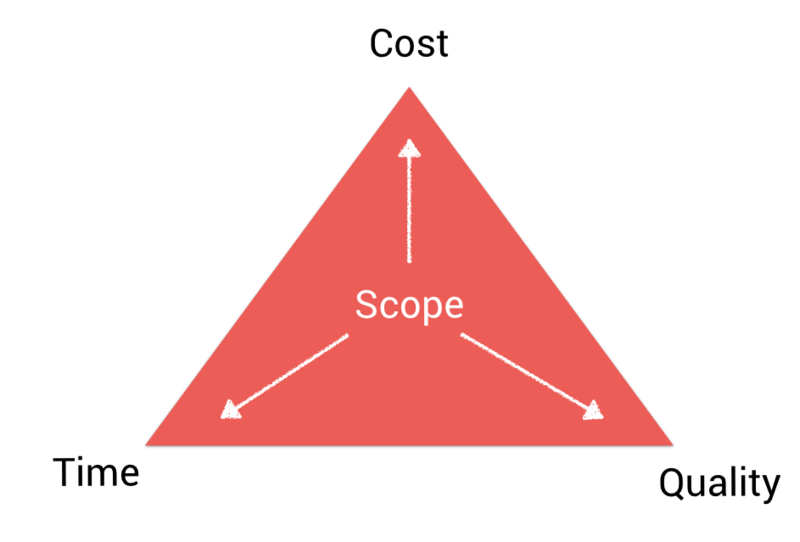 So how do we avoid scope creep? Every software development project will face a change in scope. Some of those changes are smaller, and some of those project changes will affect the budgets, deadlines, product features or other project deliverables. With no project manager in place, managing your project scope needs to be overtaken by one of your team members. Avoiding scope creep also requires software development teams to put continuous feedback at the core of their efforts and doings. Being agile also means offering various touch points for continuous feedback. Though it’s nothing new, feedback is key. Continuously asking for feedback throughout the entire project requires a feedback culture where people are pushed to evaluate what they are doing on a daily basis. Managing your software development project, without a dedicated project management person isn’t easy. I don’t want to downplay it. However, it isn’t impossible. Especially small startups or software teams need to wear various hats at the beginning. Having an agile software development workflow and creating a culture where people manage themselves helps a lot. Further on, the concept of requirements engineering ensures to have a clear project scope and outline of your software product. 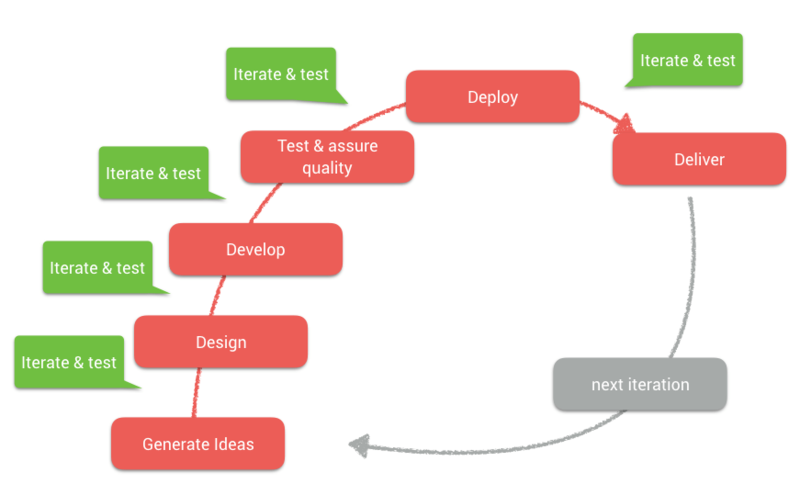 Agile testing, continuous feedback and clear project communication do the rest. In the old days, customer support was something most companies sucked at. But times changed and so has customer support. In this blogpost, I’ll show you numerous steps for providing the best customer support available. Bring your customer support to the next level, and your business too.